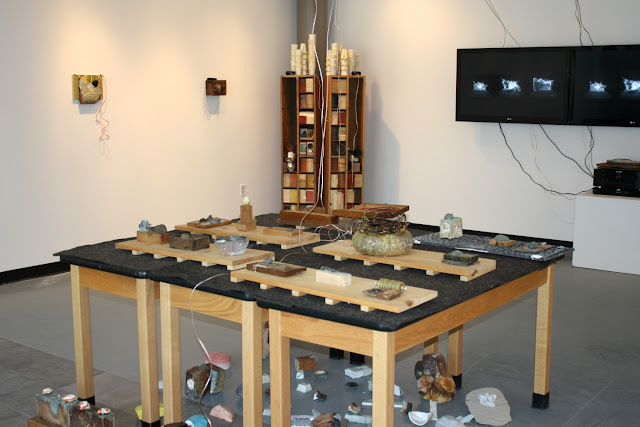 EXPANDED MEDIA: Congratulations to Professor Andrew Deutsch for his Exhibition at the Burchfield Penny Art Center! 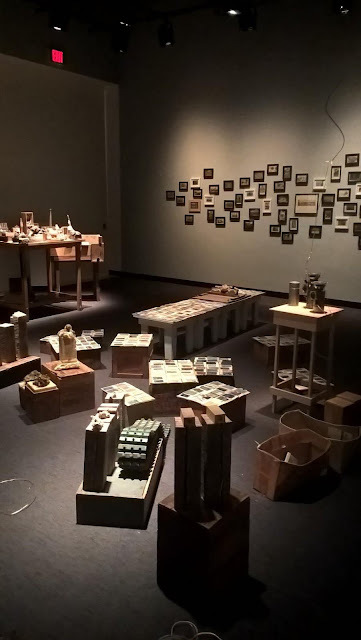 Congratulations to Professor Andrew Deutsch for his Exhibition at the Burchfield Penny Art Center! The biggest collection of Expanded Media Professor Andrew Deutsch's sculptures, sound art and videos ever exhibited will be on view at the Burchfield Penny Art Center in Buffalo, NY. Here is a description of the exhibit along with some images of the show during installation. The exhibit is up until July 24, 2016. If you're in the area please stop by and check out his amazing work! Object as Energy Point is an evolving and growing piece which started in 1995 – it began with a 12 x 6 inch wooden box. 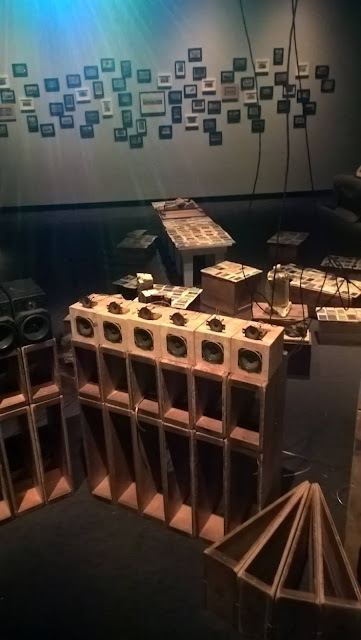 Created by artist Andrew Deutsch, every object in the show is a loudspeaker, a transducer, or a metaphor for a speaker. 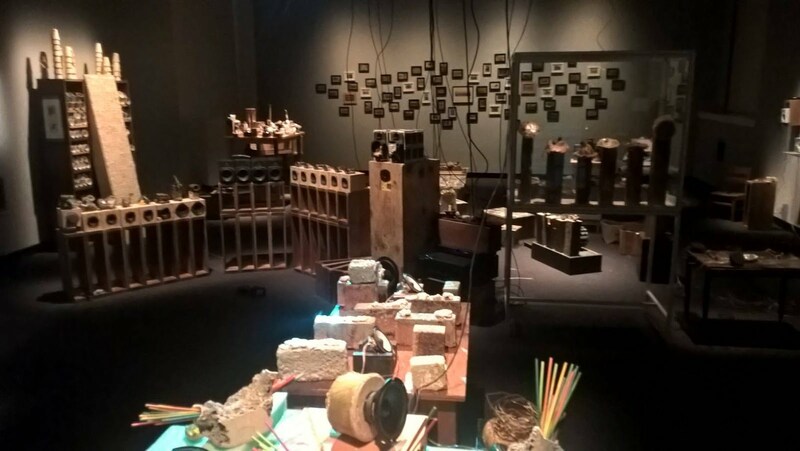 It incorporates ceramic glazed elements as metaphors for "klangfarben" and their arrangement as "klangfarbenmelodie" (tone color and tone color melody). The installation extends beyond a symphonic-sculptural speaker display to include videos or "Electro-dynamic Drawings". The projected visual content is generated by a process in which sound is the source for the image (this is known as audio reactive art). 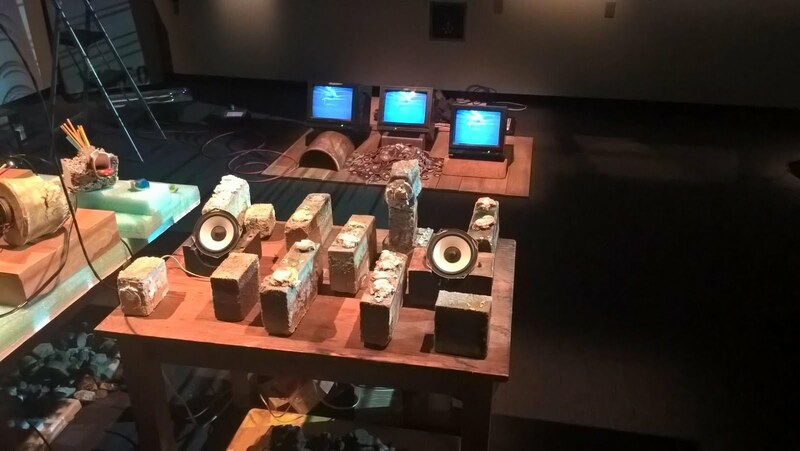 The result is a visual electronic landscape, generated by and inter-modulated with sound.